Couch to 5K for the Animals! FREE! 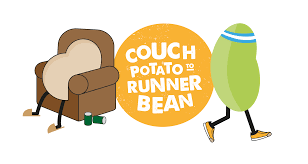 Get ready for the Salisbury Half Marathon Training with a couch to 5K training! Start off with a half mile, and work up to 3 miles by Unleashed Assessment day on January 12, 2019! We will take you from couch to success with our proven run:walk method of training! For more information please contact Amy Eutsey at volunteer@talbothumane.org or (410)822-0107.